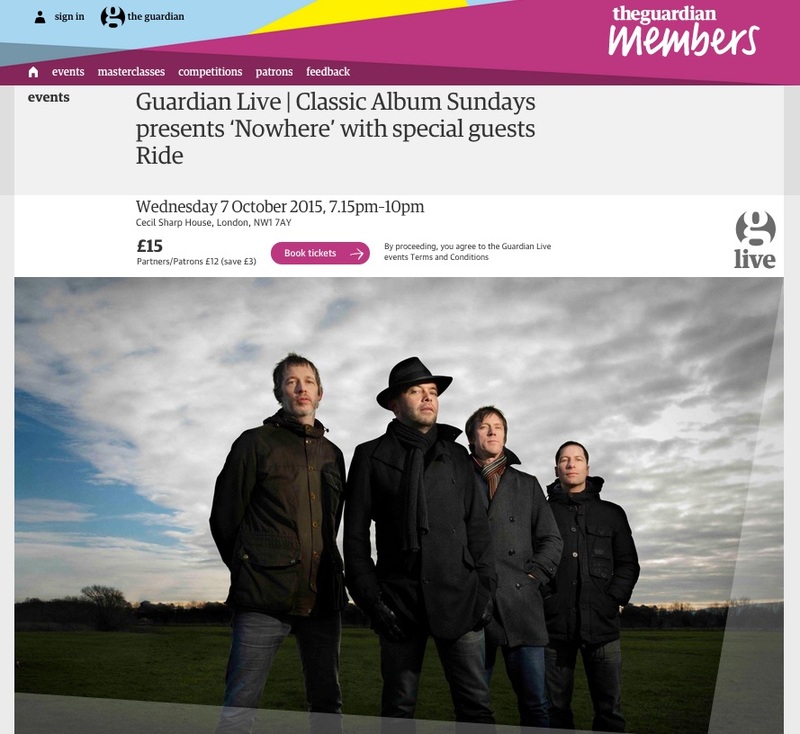 On Wednesday 7th October at Cecil Sharp House in London, Ride are to attend a listening party for their Nowehere album. The Guardian is teaming up with Classic Album Sundays, the world’s most popular listening experience and classic album hub, for the second edition of our immersive classic album listening events supported by Audio Note UK. This time around, we will present the shoegazing classic “Nowhere” and our special guest will be the artists themselves, Ride. Classic Album Sundays founder Colleen ‘Cosmo’ Murphy will discuss the featured record currently celebrating its 25th anniversary with the band members, ensuring fans will gain a unique insider’s view of the making of one of their favourite classic albums. Then we feature an uninterrupted full vinyl playback of the album on one of the world’s best hi-fi sound systems. Listeners will hear the album in a way few ever get to, experiencing it closer to the artist’s original intention. The evening will conclude with a Q&A during which fans will have the opportunity to ask Ride the questions they have always wanted to ask. This Guardian series with Classic Album Sundays is sure to give music fans an unforgettable experience.